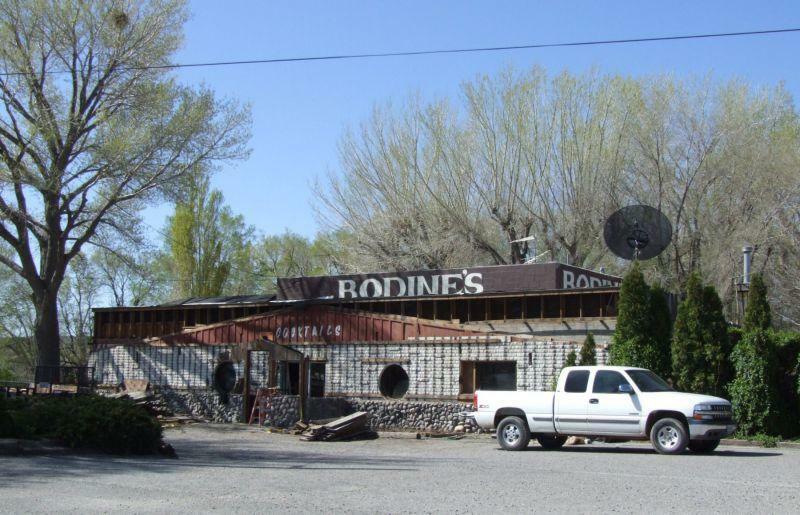 Workers have started dismantling Bodine’s Restaurant at the south end of town this week. The building, along with the trailer park next door, is being removed so that work can begin on the new casino that’s being built on the corner. That project is expected to get started this summer and be open sometime in 2007. They’re doing the demolition very gingerly at first, taking it apart almost one board at a time. It’s like they want to keep everything in good condition so they can rebuild it somewhere else. I’m sure they’re not planning on doing that, but there has to be some reason they’re not just running in with the bulldozers. One of the benefits of them tearing it down this way is that you get to peel back the layers of time. The first thing they removed was the entrance foyer and wood paneling from the front of the building, and in the process they’ve uncovered an old facade that had been buried beneath the planks. This white brick wall has been there in the darkness the whole time, along with the red gabeled roof that reads “Cocktails”. It looks funny, like Bodine’s just swallowed up an entire building whole. Like when you cut open a big fish and find a small fish inside. 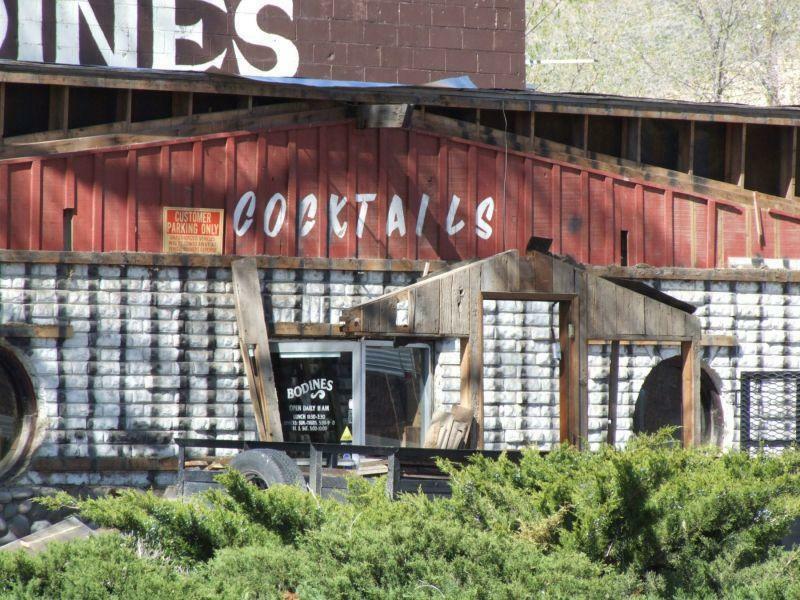 There must have been some expansion and renovation done in the past to turn the little red-and-white cocktails building into the big, wood-covered Bodine’s. And now it’s being taken apart in reverse, like watching a time-lapse movie backwards as the whole place gets “unbuilt”. They’re not going to tear down the whole place like this, are they?